I was on holiday on the West Coast back in January, a two week trek down the Pacific Coast Highway then over to Las Vegas (more on all that another time). 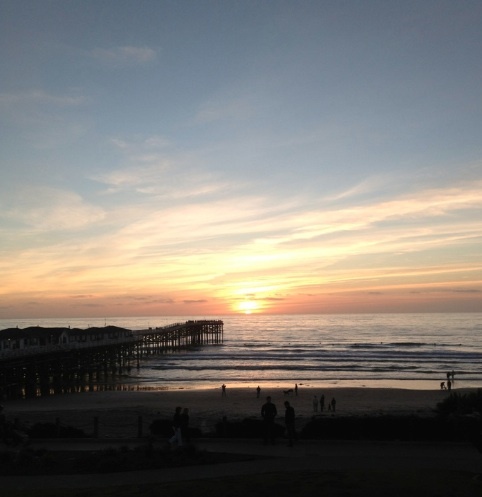 This trip included a glorious two-night stay in San Diego, staying at the beachfront hotel Tower 23. Husband and I decided to have a bite at the ocean-facing bar, which is where I encountered the Tower 23 Burger. A place like this (i.e. with a ridiculously scenic view) isn’t normally good at burgers - or at any food for that matter – but this joint was an exception. The beef had Kobe blended in and was, thus, juicy and somewhat complex, with a grilled and meaty taste. The bread used was broiche with some sort of brand on top (kudos to anyone who can figure out what it means). The super-soft bun worked really well with the juicy burger – biting into it was like sinking your teeth into a meaty pillow. I had the first bites without the lettuce and tomato that came on the side of the burger, adding them a bit later. And, the strange thing was, they kind of ruined the experience, such was the purity of the grilled beefy flavor – definitely better left on the side. 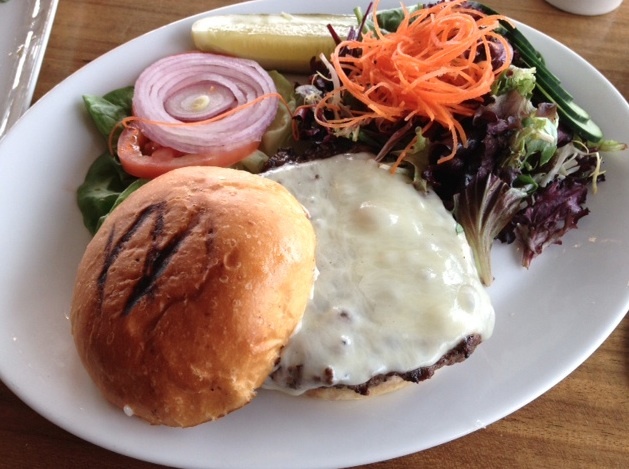 The burger was also topped with white cheddar and aioli. Finally, an honorable mention for the flatbread we snacked on while making up our minds about our lunch. 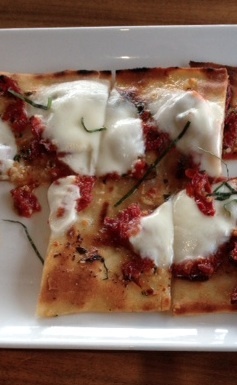 It was delicious, with sundried tomato and cheese baked atop thin, crunchy flatbread. Positively yummy. Price: Tower 23 Burger, $13.00. 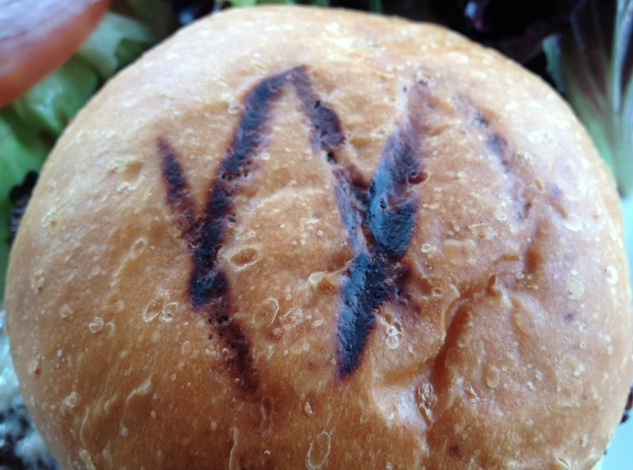 Destination Burger: Yes, but the ocean view may be a bigger draw. Optional French Fry Rating: Had a salad instead of fries. Not because I wanted salad, mind you- just a clever trick to prevent me from eating French fries. Today’s Weigh In: Back up one pound. Not yet recovered from this past weekend. I absolutely love your blog, it has been a huge intaprision to me~ I am going to sorely miss your posts about nyc restaurants when you move. So far bf and I have been using them like reviews to eat around the city. Before you move will you please post a list of your favorite nyc restaurants?